From the legends and most beautiful tales of the World I have chosen twenty-four stories that only speak of love, happiness, friendship, faithfulness, compassion, understanding, goodness, faith and true values. I have heard these stories from people who are special to me, people who love story-telling, and so I feel with all my heart, it is my responsibility to retell them as I have heard them, just like our ancestors did. The collection can also serve as an Advent calendar and an opportunity for peaceful and intimate family time during the days leading up to Christmas. 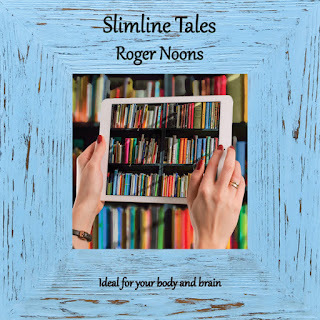 A Howard-Smith has made a film of seven Roger's stories form this book. there are eight characters in total. 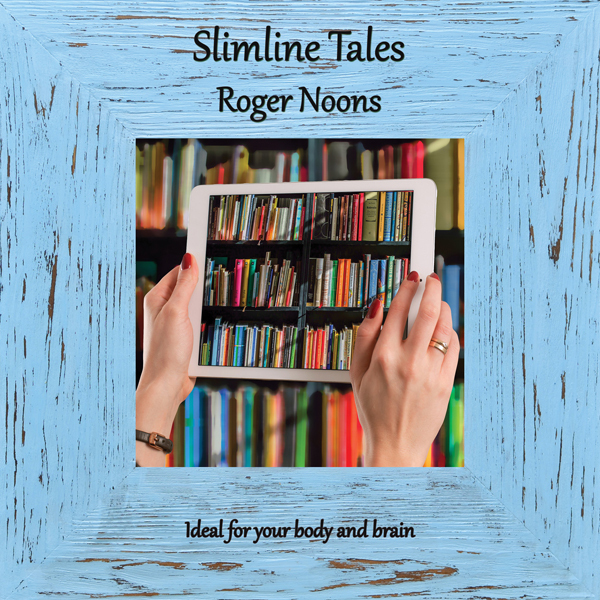 Roger is selling the book together with the film for just £6.00. if you would like to take advantage of this, contact Roger on rnoons at blue yonder for co dot uk. 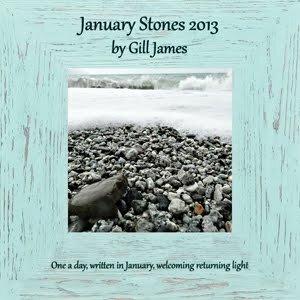 This is a clever collection of short snippets inspired by the first image Gill James saw on Twitter on specific dates. 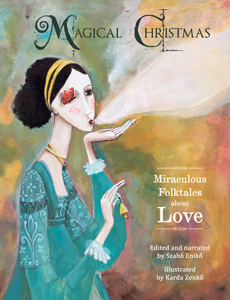 Each story is 140 words long and the collection contains 140 entertaining pieces. The date she saw the image becomes a part of each story. It’s the ideal collection to take with you on the bus or read before going to bed. There’s a story for every mood. One of my favourites is Blue Planet, which is a reflection on humankind’s inability to respect and look after our world. This story is followed by another favourite – Reading Cat – because it makes you look at your own pets and wonder what they know or are thinking. Procrastination had me laughing, because as a writer, I often sit staring at a blank page. Gill has covered many genres in this collection. If you’re interested in sci-fi, history, or romance, there’s a story for you. And cat lovers won’t be disappointed because cats feature quite a lot. 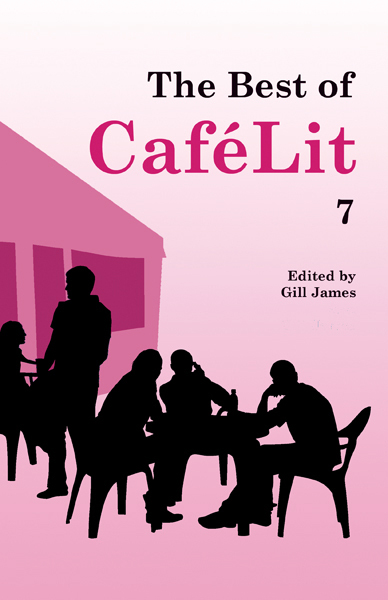 The Best of CafeLit 7 is now out! We asked readers to vote for their favourite storeis published on the CafeLit web site in 2017. We awarded five points for number one choices, four for number two and so on. The following stories received votes and are listed in the order of which ones received the most votes. Authors were not allowed to vote for their own stories but we didn't mind if their friends did. It's quite a tall order, anyway, to ask people to read all the storeis published in oen year but a few did and these are the results. 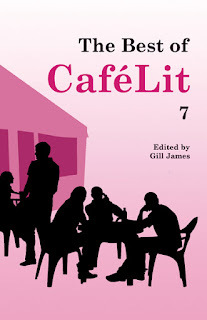 Next year, for The Best of CaféLit 8, we'll ask those who appear in this volume to vote. Another of the little square books though this one is slightly thicker. There are 140 stories, each 140 words long. Each story was inspired by the first picture I saw when I opened my Twitter feed on that day. The dates are preserved and give an indication of how long it has taken to produce this and turn it into a book. These stories are created to be varied, thought-provoking, laughter-producing and tear-jerking. This anthology of women's fiction, this collection of very short stories, some might say a flash collection, is thought-provoking and each story is based upon a tweet. Except that each piece is 140 words long and not 140 characters. They were collected over three years and edited for another nine months. 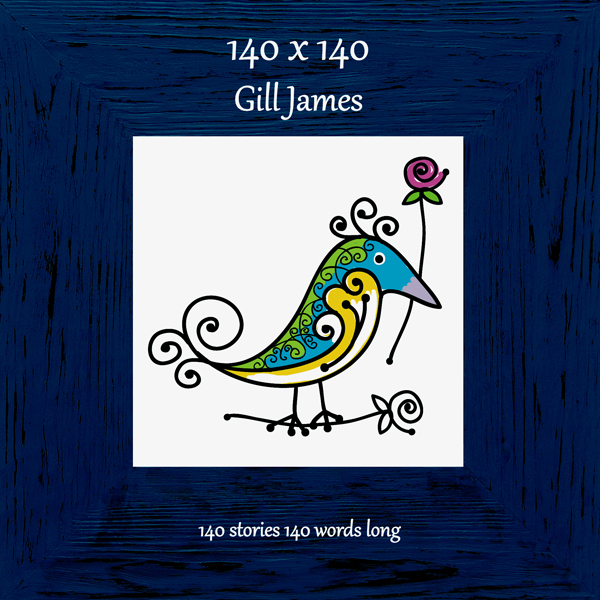 Gill James writes novels, short stories and flash fiction. She is published by Butterfly, Continuum, How to, The Professional and Higher Partnership, Tabby Cat and edits for Bridge House, CaféLit, Chapeltown and The Red Telephone. She is a part-time lecturer in Creative Writing at Salford University. You can get 140 x 140 here. 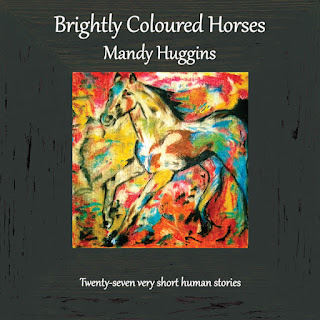 We are delighted to have published this fabulous collection of flash fiction by Mandy Huggins. 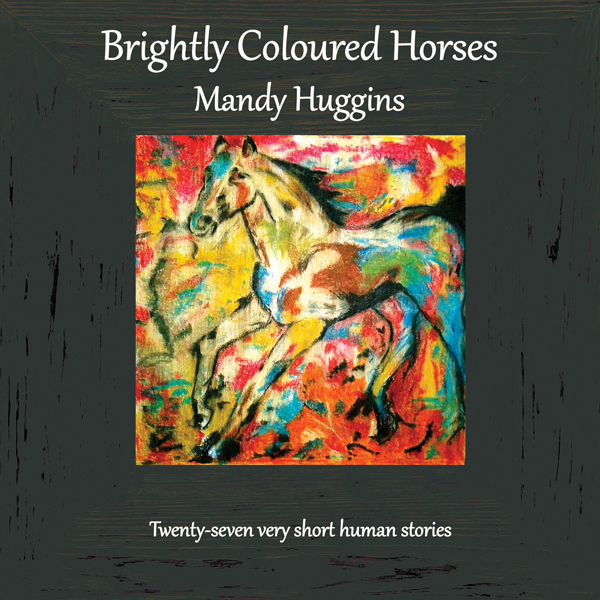 Brightly Coloured Horses is the first flash fiction collection from award-winning author, Mandy Huggins. Twenty-seven tales of betrayal and loss, of dreams and hopes, of lovers, liars and cheats. Stories with a strong sense of place, transporting us from the seashore to the city, from India’s monsoon to the heat of Cuba, and from the supermarket aisle to a Catalonian fiesta. We meet a baby that never existed, a car called Marilyn, a one-eyed cat, and a boy whose kisses taste of dunked biscuits. These stories all have something in common; each is a glimpse of what it’s like to be human. We make mistakes, we do our best, and most of he time we find hope. Mandy’s work has been published in various anthologies and literary magazines, as well as in The Guardian, The Telegraph, Reader's Digest, Traveller, and Writers' Forum. Her travel writing has won several awards, including the British Guild of Travel Writers New Travel Writer Award in 2014, and her short stories are regularly placed and shortlisted in competitions, including Bare Fiction, Fish, InkTears, Cinnamon Press and Retreat West. A selection of her longer fiction is showcased in Death of a Superhero, published by InkTears, and her travel writing can be found in Roam Alone, a Bradt Travel Guide. Mandy’s favourite writers include Kazuo Ishiguro, Charlotte Bronte, Yoko Ogawa, Helen Dunmore, Patti Smith and Ernest Hemingway. This is a really enjoyable collection of short and Flash Fiction set in many different countries by a versatile writer. She is able to catch a wide variety of emotions in a very short story with exceptional precision. Many are about lost or unrequited love, elegaic in tone. Some , like Twenty Dollar Shoes are heartbreaking. Others, like Waiting and Just for the Dance glimpse a memory of happiness, while many leave the reader in the air , anticipating the next action , drawn into the scene, and forced to imagine what happens next. An intriguing group of stories which will reward the reader. Brightly Coloured Horses available here. Chapeltown was founded to produce beautiful books, to enable unusual authors to gain some visibility and to help keep books in the world. Would you like to know when we have new books out and new events? Or new calls for submissions? Sign up for our newsletter here.